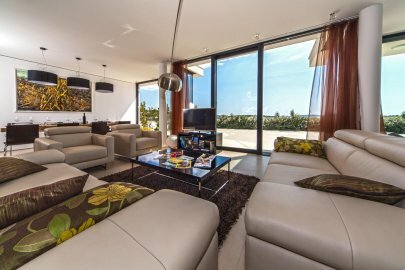 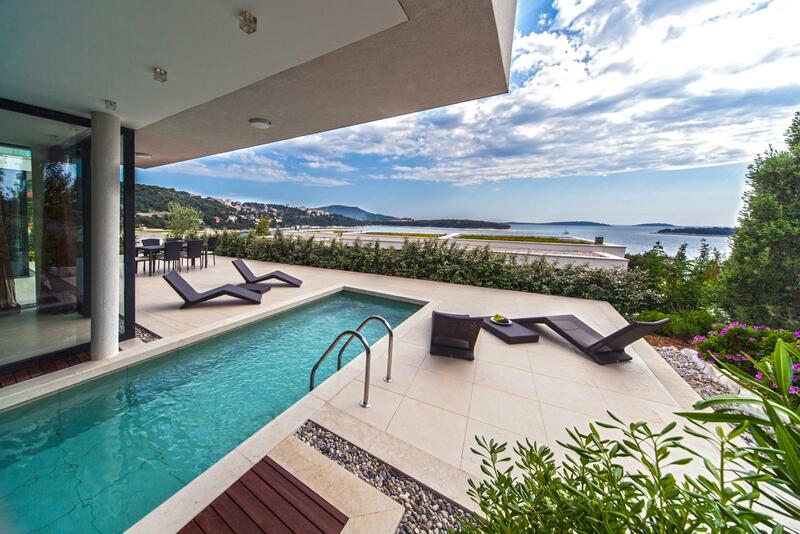 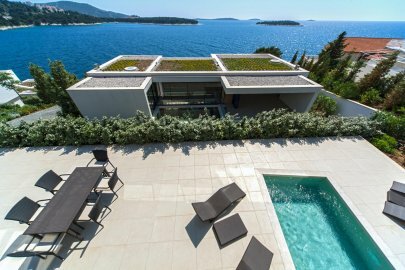 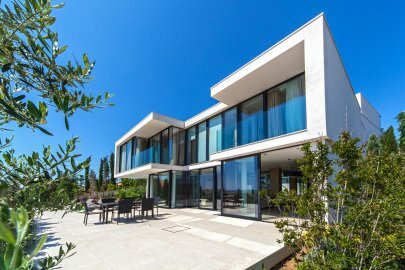 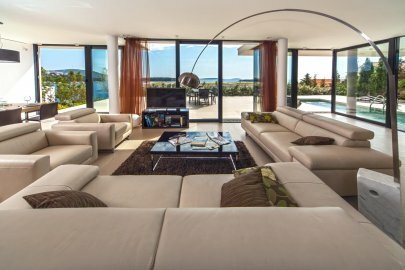 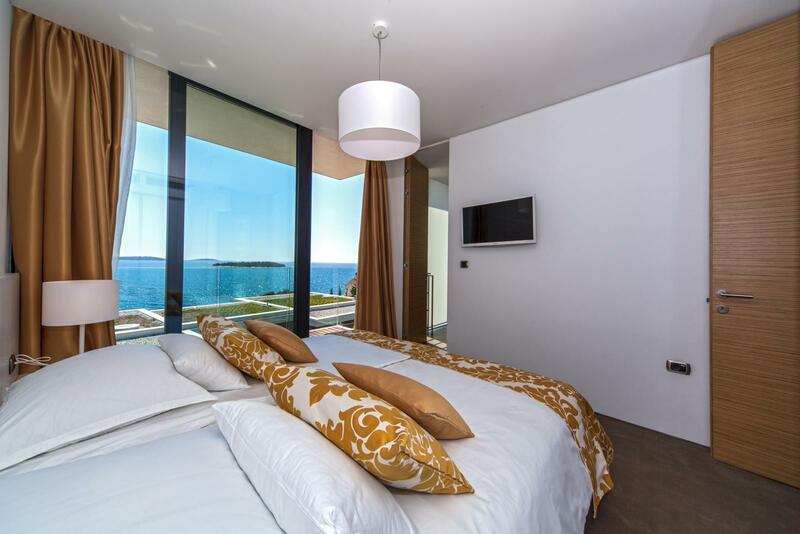 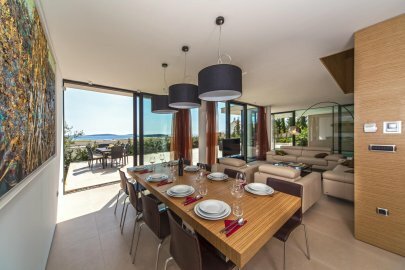 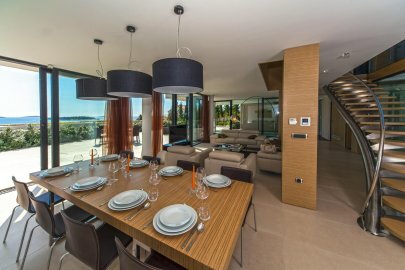 Spend a relaxing and joyful vacation with people you love in this exclusive villa located few kilometres from town Primošten. 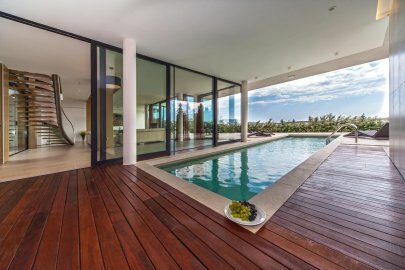 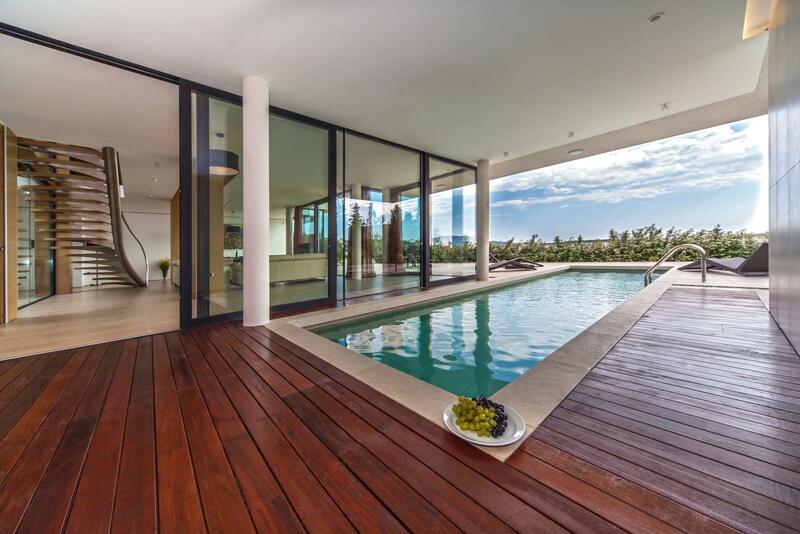 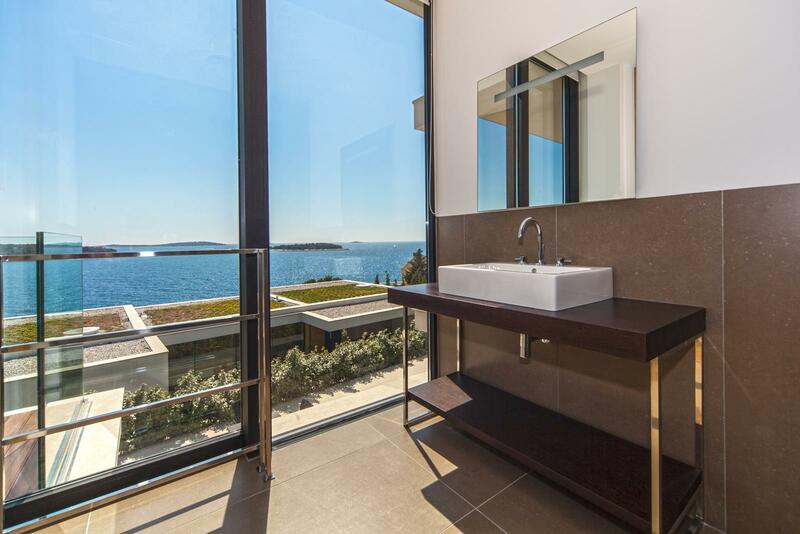 Each part of the property, especially the living rooms and bedrooms, provide an amazing view at the beautiful bay with a small island in the centre. The villa is also partially embedded in the hillside and the designers were careful to ensure a two-car garage.